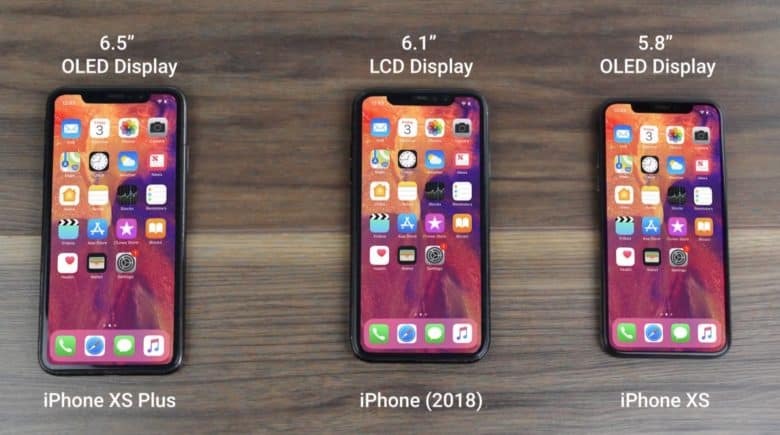 The three 2018 iPhone models appear side-by-side, along with possible names. Apple hasn’t kept a very tight lid on 2018 iPhone rumors. Information about them is leaking out all over. The latest is a video showing two of the three that are anticipated for a September release. The source for the video also gives possible names for the next iPhone versions. Details about these three devices have been leaking out for months. It’s widely known that Apple is prepping 6.5-, 6.1-, and 5.8-inch models, with designs based heavily on the iPhone 10. Pictures and videos of mockups have also appeared recently. And the new video from MobileFun also features mockups not actual devices, but it still includes the best look so far at what’s in the offing. One of the few aspects of Apple’s 2018 iPhone still a mystery is names. The iPhone 8 and iPhone X came out last year, so it’s not clear what the new models will be called. iPhone 9? iPhone XI? Previous reports indicated the casing of the iPhone XS is 6.18 x 3.05 x 0.31 inches (157.5 x 77.4 by 7.9 mm). That makes it almost exactly the same size as the iPhone 8 Plus. It will supposedly have a 6.5-inch OLED display, the largest ever in an Apple phone. The camera in this model is the same size as the one in the iPhone X, making room for dual lenses. The iPhone (2018) reportedly has a 6.1-inch LCD screen. Overall, the device is 5.9 x 3.0 x 0.3 inches (150.9 x 75.7 x 8.5 mm), according to mockups. This has a 6.1-inch LCD. The single camera lens in the sole LCD 2018 iPhone is larger than the one in the iPhone 7, suggesting higher resolution. The iPhone XS will supposedly be “speed bump” improvement over the current iPhone X (2017). That means it will be the same size, with the only changes happening internally. According to respected analyst Ming-Chi Kuo, the iPhone XS will cost between $800 and $900, while the iPhone XS Plus will be between $900 and $1000. The iPhone X (2018) will supposedly be relatively more affordable: somewhere between $600 and $700.